Facebook feeding frenzy, Apple Watch fails, Apple operating system betas, Flix Plus improves Netflix, Logitech dumps tech, and the best reaction to winning an Xbox One of all time. Facebook is giving a modicum of control back to its users. The social network has previously sought to control what you see on your News Feed Don’t Be an Experiment: How to Control Your Facebook News Feed Don’t Be an Experiment: How to Control Your Facebook News Feed What determines what is and isn't a top Facebook post? 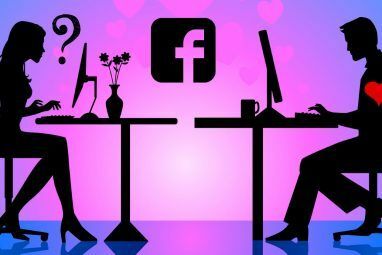 How often you interact with a person, topics you're interested in, how many likes or comments the post attracts, and – apparently – psychological experiments. Read More , determining what to show you and when based on an algorithm. However, this controlling nature annoyed many people, and Facebook has listened to the complaints… for a change. 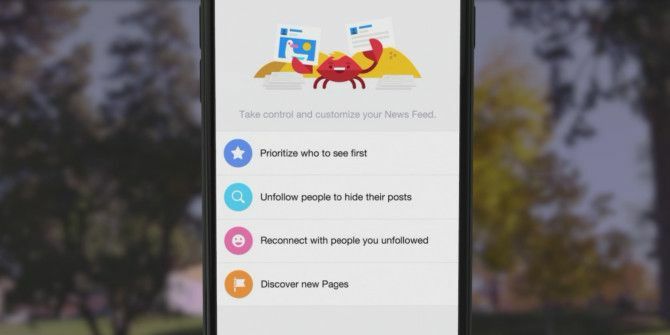 A new set of tools hands back control of your News Feed, allowing you to decide which friends come first. Select a handful of friends (or Pages) and their updates will be the first thing you see at the top of your News Feed. It’s also now easier to decide who to unfollow so that you’re no longer bothered by idiotic updates 5 Facebook Status Updates Guaranteed To Annoy [Opinion] 5 Facebook Status Updates Guaranteed To Annoy [Opinion] Facebook is, by all accounts, closing in on 1 billion users. That's an awful lot of people maintaining a profile on the site, and telling their family, friends, co-workers, and anyone else who will listen,... Read More . To see the new options, click “More” in the bottom right-hand corner of your mobile Facebook app. “News Feed Preferences” should be located under Settings, and you can then update your personal preferences as often as you like. Unfortunately, this option is initially only available in iOS, with Facebook promising to add it to Android and the Web in the coming weeks. It looks as though the Apple Watch Apple Watch Review & Giveaway Apple Watch Review & Giveaway The new Apple thing is finally out, but everyone was talking about the Apple Watch long before it was officially announced. Starting at $349 - we take a look, and have TWO to give away! Read More is a flop, with sales of the device falling precipitously in the three months since launch The Apple Watch Has Landed, YouTube Celebrates Turning 10, & More... [Tech News Digest] The Apple Watch Has Landed, YouTube Celebrates Turning 10, & More... [Tech News Digest] Apple Watch arrives, YouTube turns 10, Twitter launches Highlights, Snapchat suffers bug, Telltale loves Marvel, and Downton Abbey is better with lightsabers. Read More . This is at least according to Slice Intelligence (via MarketWatch), which gathers data based on the electronic receipts sent to millions of email addresses. Its figures suggest Apple is selling fewer than 20,000 watches a day in the U.S. 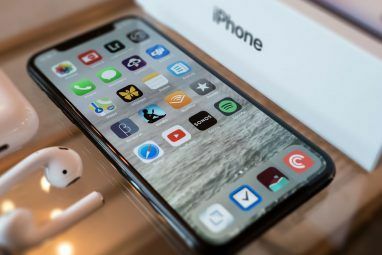 Which may sound like a lot, but is a paltry demand when compared to that of the iPhone and iPad. At launch, Apple was selling 200,000 watches every day, but sales soon leveled off, and are now falling despite the efforts of James Bond How James Bond Made Me Buy an Apple Watch How James Bond Made Me Buy an Apple Watch Bond has always had a thing for watches. Indeed, some of the best gadgets Bond has ever used have been timepieces. Which means he would buy an Apple Watch. As will I. Read More . These aren’t official figures, which means they have to be taken with a liberal pinch of salt. However, as Apple often crows about its successes, the fact that the company has remained silent on the Apple Watch could be seen as further proof this particular device has flopped. Oops. Apple has released iOS 9 and Mac OS X El Capitan as public betas. This means anyone with a compatible Mac or iOS device can try out the new versions of Apple’s two operating systems months before they’re due to be officially launched. To gain access, simply sign up to the Apple Beta Program, and you’ll be offered one or both of the respective betas. However, you need to be aware that as pre-release software, both iOS 9 and El Capitan WWDC '15: Everything You Need to Know About Apple's Event in One Place WWDC '15: Everything You Need to Know About Apple's Event in One Place This year's WWDC didn't disappoint, with new versions of iOS, OS X and watchOS announced among a range of new features, surprise developments and updates to old technology. Read More are likely to contain bugs, so back everything up first, and proceed with caution. Netflix recently changed its user interface LastPass Got Hacked, Shenmue 3 Kickstarter, Final Fantasy 7 Remake, & More... [Tech News Digest] LastPass Got Hacked, Shenmue 3 Kickstarter, Final Fantasy 7 Remake, & More... [Tech News Digest] Change your LastPass password, kickstarting Shenmue 3, remaking Final Fantasy 7, Xbox One plays Xbox 360 games, Netflix gets a makeover, and Conan plays Halo 5: Guardians. Read More for people using the service on the Web. While this should be seen as a positive thing, unfortunately it broke most of the Netflix customization tools 5 Ways To Enhance Your Netflix Account In Chrome 5 Ways To Enhance Your Netflix Account In Chrome The Netflix interface could use a little improvement, so I've found some Chrome extensions to make my Netflix account look prettier. And no, it doesn't involve a bit of lipstick and some rouge. Read More designed to work with the old UI. 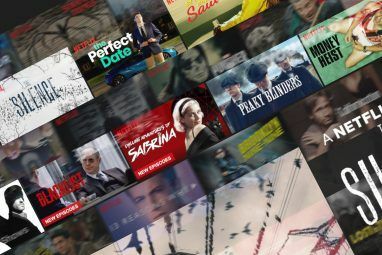 One of the tools affected was Flix Plus, which, amongst many other things, helps you hide spoilers and play random episodes How to Hide Spoilers and Get Random Episodes on Netflix How to Hide Spoilers and Get Random Episodes on Netflix Are you addicted to Netflix? If so, you've probably noticed that the interface could do with a few tweaks here and there. Read More . However, Lifehacker has now updated the Flix Plus Chrome extension so that it plays nicely with the new UI. Hoorah! Logitech is changing its brand name to Logi. While the name of the company itself won’t change, the new Logi brand will be emblazoned on most new products being released. But not mice and keyboards How to Control Your Android Using Your Computer's Mouse and Keyboard How to Control Your Android Using Your Computer's Mouse and Keyboard Whether you want to respond to texts using your computer's keyboard or use your tablet as a second screen for research, this setup feels like magic when it's working. Read More , the products for which the company is most closely associated. Because reasons. You’re not alone in thinking that’s confusing. The thinking behind the name change is confusing too, with Logitech Vice President of brand development Charlotte Johs explaining to Gizmodo, “Tech is everywhere. Tech is in the air you breathe … it’s in your clothes … in the future, ‘tech’ doesn’t say anything”. Ah, now it all makes perfect sense. And finally, kids these days can be extremely hard to impress. Take the one in this video, for example, who won an Xbox One from Microsoft for his efforts at E3 2015 Sony, Microsoft, and Nintendo - Who Had the Best E3 Showing? Sony, Microsoft, and Nintendo - Who Had the Best E3 Showing? It's E3 again, which is like Christmas for gamers, if Santa told you about your presents a year in advance and then spent Christmas morning selling them to you in bits and pieces. Read More . Is he pleased? In a word, No. He just wants to get out of there as soon as possible, leaving the presenter laughing awkwardly at his nonchalant attitude. Will you be customizing your Facebook News Feed? Are you surprised to discover the Apple Watch has flopped? Will you be testing El Capitan and/or OS X 9? How would you improve the Netflix experience? Explore more about: Apple Watch, Facebook, iOS, Netflix, OS X El Capitan, Xbox One. On what planet is 20,000 watches a day a failure? 20000 * 365 * $500 is over $3B dollars. If that is failure, I want to fail big time. Let's wait a few years and see how it goes. I've been saying for years that smaller is not necessarily better. There comes a time where the interface just can't handle the physical limitations of the user. It's hard to justify an email system where you cannot respond to received missives.
" ‘tech’ doesn’t say anything”. " "Perhaps he’s a PlayStation 4 fan instead." Perhaps he recognizes the XBOX for the garbage it is. Why? Just because it is a new shiny FROM M$?! Not all kids slobber after an XBox, shuffle around like Golem, lisping "My preciousss! My precioussss!" “Tech is everywhere. Tech is in the air you breathe … it’s in your clothes … in the future, ‘tech’ doesn’t say anything”. "Ah, now it all makes perfect sense." And then your comment about the XBox: "Not all kids slobber after an XBox, shuffle around like Golem, lisping “My preciousss! My precioussss!”"
You guys should seriously consider a tech comedy show, similar to SNL.